Cabinet apprised of MoU between India and South Korea railwaysPTI | Aug 29, 2018, 17:28 IST Representative imageNEW DELHI: The Union Cabinet has been apprised of a MoU between the railway research bodies of India and South Korea to strengthen scientific and technical cooperation. The memorandum of understanding (MoU) was signed between the Research Designs and Standards Organisation (RDSO) and Republic of Korea Railroad Research Institute (KRRI) on July 10, an official statement said. 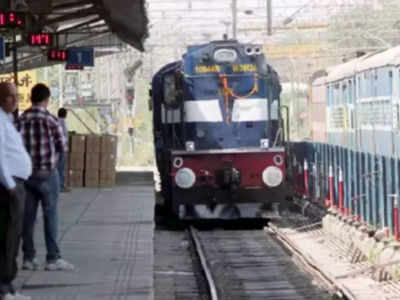 The MoU will provide a platform for the Indian Railways to interact and share the latest developments and knowledge with its Korean counterpart, it said. It will facilitate exchan ge of technical experts, reports and technical documents, training and seminars/workshops focusing on specific technology areas and other interactions for knowledge sharing, it added. Properties in Mumbai. US NRI offers. 1:99 payment plan! 7 funny things an NRI does after returning to India! 10 Popular Hindu Temples in America you should visit! Katrina Kaif to become Salman Khanâs bride? Coconut oil: Godâs own gift or poison?